Money matters can be a big challenge for any family. Whether you struggle with money management yourself or your teen doesn’t yet know how to deal with their finances, there is hope. 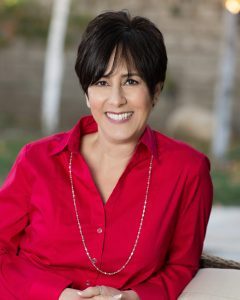 Patti Handy is a money expert who helps with family and money matters; from the conversations parents need to have with their kids to the logistics to the mindset, she has us covered. 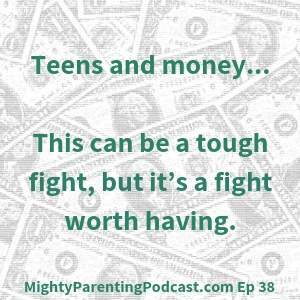 On the Mighty Parenting Podcast, Judy Davis and Sandy Fowler will interview Patti to find out what the biggest problems are for teens and their parents when it comes to money. They’ll cover the logistics, the mindset, how to teach your teen, and what to do if you don’t have good financial skills yourself. This can be a tough fight, but it’s a fight worth having. Parents don’t have conversations with kids, so teens don’t have the tools they need to handle money matters. Some of the topics to teach our kids about include: saving money, compound interest, savings and checking accounts, credit vs. debit cards, and emotional spending. Most importantly, teach them the power of money, not to buy things but the options and choices it gives you. If you haven’t been giving them responsibility for money, start with a conversation where you share with them that you want to give them strong life skills so they will be responsible for their own expenses. Then help them find a way to earn money—finding a job or earning money independently. Yes, this can be a tough fight, but it’s a fight that’s worth it. If you have been operating under the idea that your child is involved in too many activities to have a job, consider this: activities are important but so are these life skills. Trust your child to find the time to do both or make some choices, even if they’re difficult. Patti says – No allowance! Kids need to learn that money comes into their life by earning it. They should not get paid for simply taking care of the basic responsibilities around the house. However, it can be helpful to allow them to earn money doing chores that are not part of their basic responsibilities. But what if you don’t have good money skills yourself, or are living paycheck to paycheck or swimming in debt? First, set your ego aside and reach out for help. Many of our money issues come from our money mindset, the reasons we spend like we do. If you’re heading down the road of learning, invite your teen to come with you and learn at the same time. Showing that vulnerability is powerful and can really help your child. Patti Handy is a leading mortgage professional and expert in the California market. What makes Patti successful, and in such high demand as a mortgage professional, are the results she achieves for her clients. Beyond Patti’s expertise in helping clients find the best possible mortgage financing for their particular needs, Patti offers something else that goes far beyond what any other mortgage professional can provide…financial education to young adults and those starting over after a divorce. Patti’s commitment to educating young adults about financial responsibility was and remains so strong that she authored several books. Her newly released book, “Money Rules 101- Master Your Money Before it Masters You” inspires and empowers young adults and those starting over with the money skills necessary to lead a prosperous and peaceful life. In her book, 50 Ways to Flourish After Divorce, she shares her journey as she went from tragedy to triumph, with 50 “activities” that helped her heal.